Tea, cake and a chat, followed by a gentle workshop to make friends, tell stories and share laughter. This is a drop-in group for adults with time during the day. Tea Break Theatre embodies our belief that theatre making can improve wellbeing and confidence. The theatre making in these sessions is designed to playfully build confidence and a sense of community. 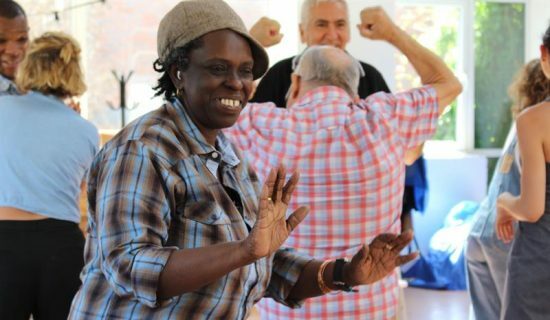 At Bubble we believe that taking part in creative activities and connecting with others can have a significant positive impact on well being. This group has those principles at its heart and offers an opportunity for people to come together to make theatre in a gentle and social way (although it promised to be just as alive and exciting as our other groups). Open to everyone aged 18 and over. To find out more about the group please get in touch. 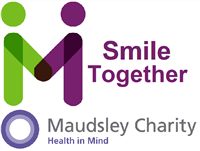 London Bubble gratefully acknowledges support from The Henry Smith Charity and Maudsley Charity. Photography by Jonathan Vines, Guys & St Thomas’ Charity and London Bubble. We have occasional breaks for half term and at public holidays. No classes on 12th or 19th April or 31st May 2019.